If you’re looking for an unconventional piece to beautify for your home, consider a custom-made mosaic tile mirror. This is an easy DIY project that will add interest and charm to any space. Cut both the 1 ½- x 1 ½-inch poplar and ½- x 5 ½-inch poplar into 16-inch lengths. 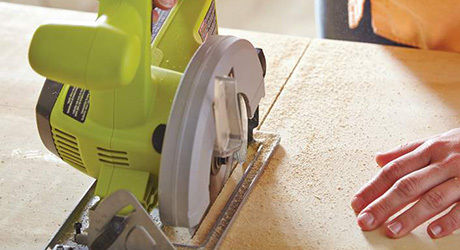 Cut one ¾- x 1 ½-inch poplar boards into two 25 1/4-inch boards. 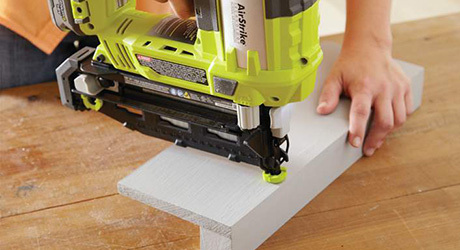 Use a second board of ¾- x 1 ½-inch poplar to cut two 23 ¾-inch pieces. Paint all the boards to your desired color once all pieces are cut. Measure and mark the center of the plywood square. 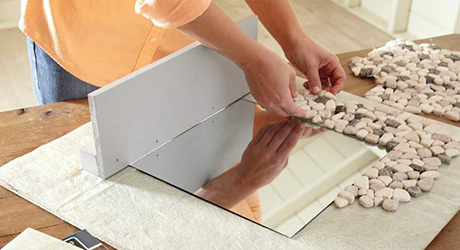 Glue mirror tile in place and gently press to secure. Attach the two pieces of poplar together to form a shelf. Position the shelf on the plywood just under the mirror. 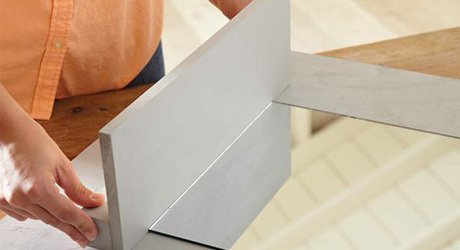 Cut SimpleMat sheets to the exact size of the plywood area to be tiled. Remove SimpleMat backing and apply to plywood per the manufacturer’s instructions. Apply tiles in whatever pattern you desire. 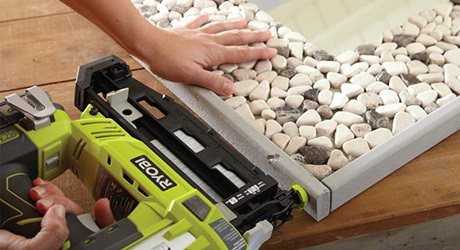 To fill in around the edges, pull pebble tiles from mesh backing. Fill in until the entire surface is covered intiles. 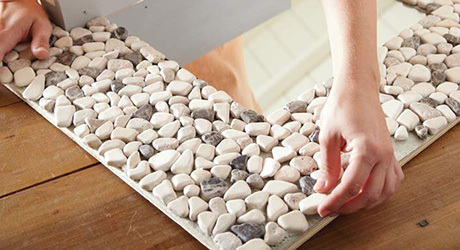 Frame the outside of the mosaic mirror with the two ¾- x 1 ½- x 23 ¾-inch boards and the two ¾- x 1 ½- x 25 ¼-inch boards. 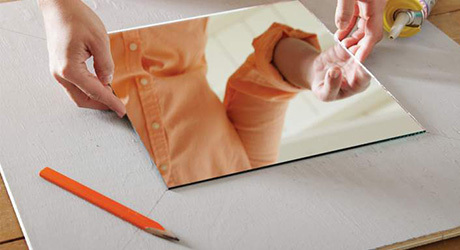 Use painter’s tape to tape off the mirror and the shelf. Apply grout according to the manufacturer’s instructions. Tip: Always wear gloves while applying grout. 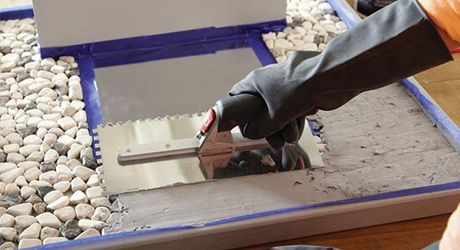 Smooth the edges of the project by lightly dragging a damp sponge along the grout on the edges of the project and inside the edge along the mirror. 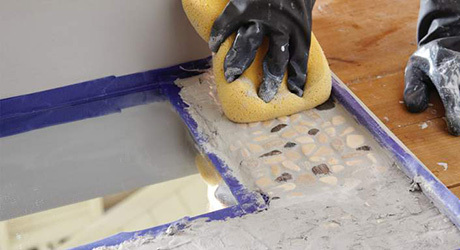 Remove the tape while the grout is still wet. Fix French cleats to hang.